Have your related products filled automatically. Show customers recommended products based on their surfing behavior. Works with all Lightspeed templates, no adjustments needed in the Template Editor. Imagine: It has been proven that displaying related products increases your turnover. You do not want to sell just one product, but also tempt customers to purchase an associated product. 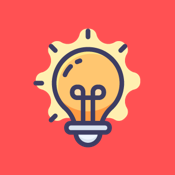 How does Product Prediction Genie work? 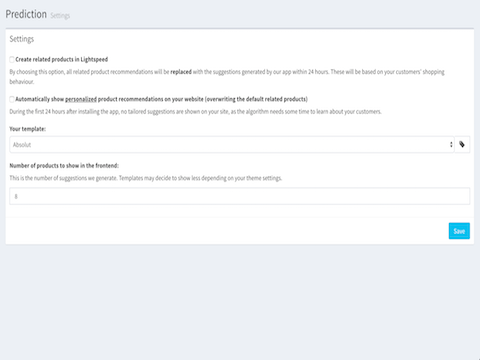 Product Prediction Genie shows related products based on the visitor's surfing behavior or on the buying behavior of your customers. Step 3:Select your theme and the number of related products to be shown. Step 4:Save your configuration and after 24 hours the related products will be shown based on the surfing or buying behavior. Note: this version only works for Lightspeed E-com customers. A separate version is available for Lightspeed Omnichannel users. The algorithm behind Product Prediction Genie requires at least 24 hours to learn from your visitors. 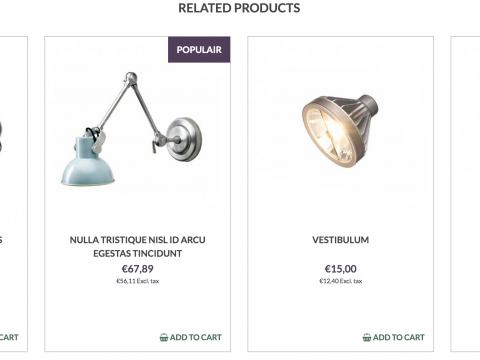 It therefore takes at least 24 hours before the related products are visible in your webshop.